Thomas Daniel Meeks I will pass your information on to them. Thanks. Thomas Daniel Meeks Perhaps the place for this to be most effective is in the bottle's cap. I'll experiment a bit. By the way, we met with some educator partners that use YouthQuest Foundation's 3D Design and Print curriculum and they LOVED the PrinterBot! They immediately started talking about how they could use it at two of their school locations. If they do buy one or two, we offered to help train their staff in getting started. Miguel Valenzuela It would be great if we could put a floater under the pump outlet to block the batter. I wonder if we could see the batter level somehow. Miguel Valenzuela Yes it works fine as long as you remove the clumps by running it through a strainer per the quickstart video instructions. Just try a bit thicker before thinning it out. It is easier to make it thinner with milk or water than to thicken it up later with flour. Miguel Valenzuela Just make sure that the holes on the seive are smaller than 2mm to prevent clogging. David Bourne First 1 1/2 batches complete!!! I used a whisk and a fairly course sieve. Just a cheap one. It seemed to flow OK. Maybe a little too well. I think next time I'll make the batter a little thicker. Miguel Valenzuela We'll set something up regarding that soon. Sorry for the late reply. Rene How big is the cup? Dianna I used both recipes. Travis' seemed to work better but I'm still getting the batter a little too runny. The only pancakes I can actually print are the smiley faces. And I have toddlers wanted robots. Any ideas??? Travis I used this recipe tonight but only used 1 egg and 1 1/4 cups milk. Worked PERFECTLY around pressure level 2. 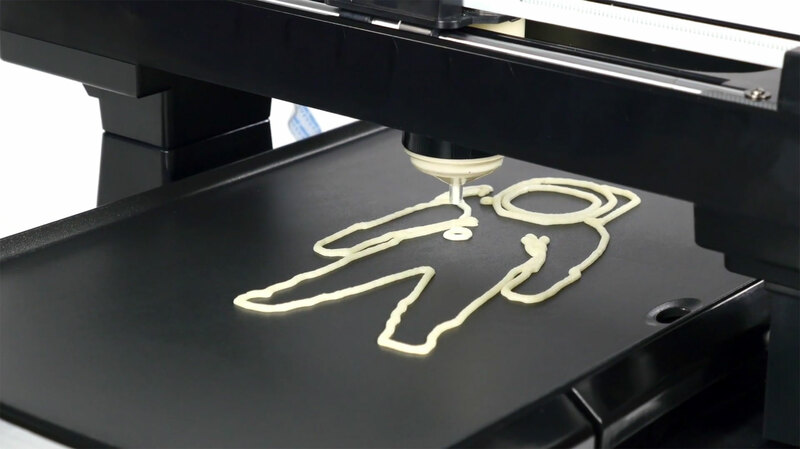 This actual lays down and prints better, in my opinion, than the PancakeBot recipe that's in the manual. Thanks for putting this out here!